Are you Called to the Priesthood of Jesus Christ? Have you ever thought of becoming a Catholic priest? 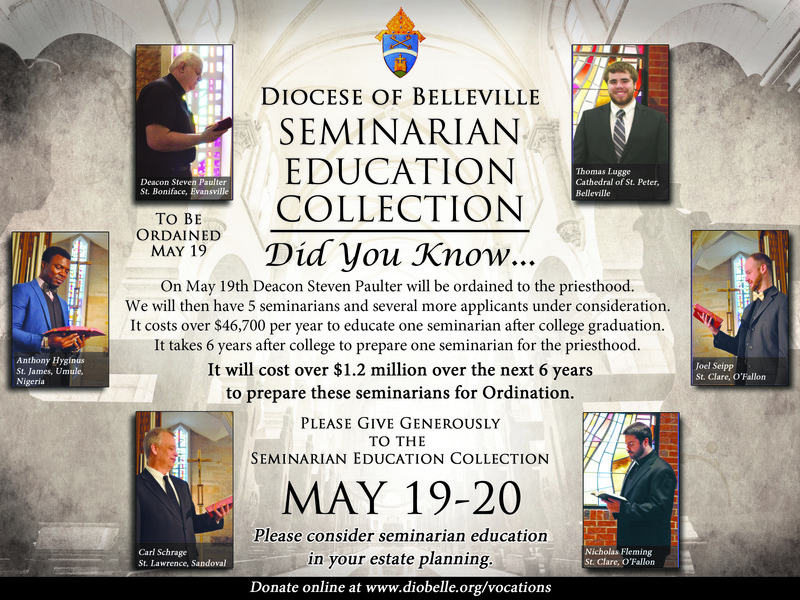 Would you like to serve the Catholic Church in southern Illinois as a priest in the Diocese of Belleville? Would you like to know what you need to do to learn more about the possibility of becoming a priest? You will find the answers to these and other questions on this page. May God bless you as you think about the best way to live your life as a follower of Christ. 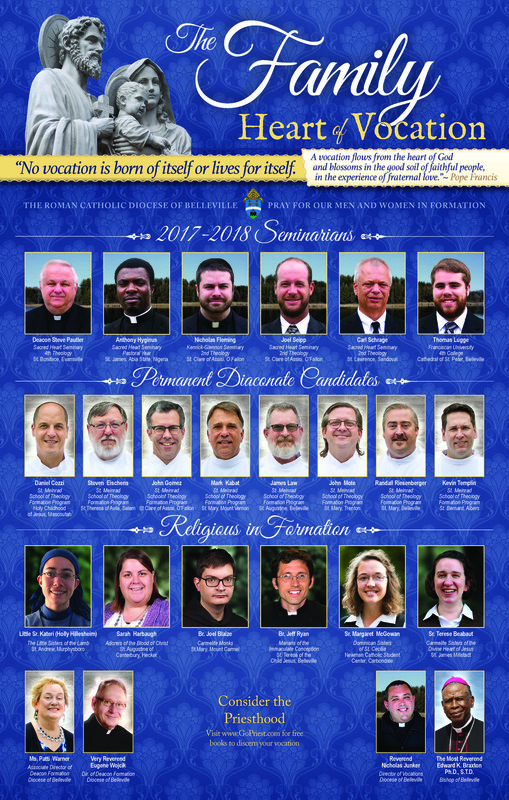 For National Vocation Awareness Week (Nov 5-11) the Vocation Office has filmed a series of videos featuring testimonials of native vocations from the Diocese of Belleville. We have inspiring stories and words of encouragement from priests/seminarians, a religious sister, deacons, and a married couple. These videos will be a helpful tool for principals, DREs, teachers, catechists, and youth ministers. Though launched for National Vocation Awareness Week, these videos remain available all throughout the year. Click here to view the videos.